Just a quick drop in to say the Windsor chairs are finished and in our etsy shop. I call them double dipped, some might consider them colorblocked, in ivory, gray and gold. Our first chairs. I think they are lovely. It started here with some good ol’ Frog Tape. Love that stuff. I use it quite often and never have paint bleeding problems. See our etsy shop for the other Frog Tape projects, like cork boards/pinboards. I know I’ve been bad and haven’t been showing our smaller projects-just putting ’em right in our shop. Sometimes it feels good to be bad. And sometimes I say really stupid things. 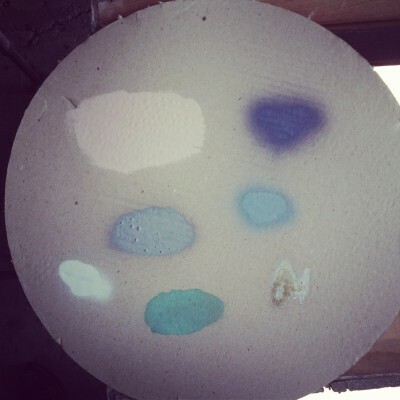 That’s a look at what we’re up to now with the sample tray. And no, that’s not bird poop on the bottom. 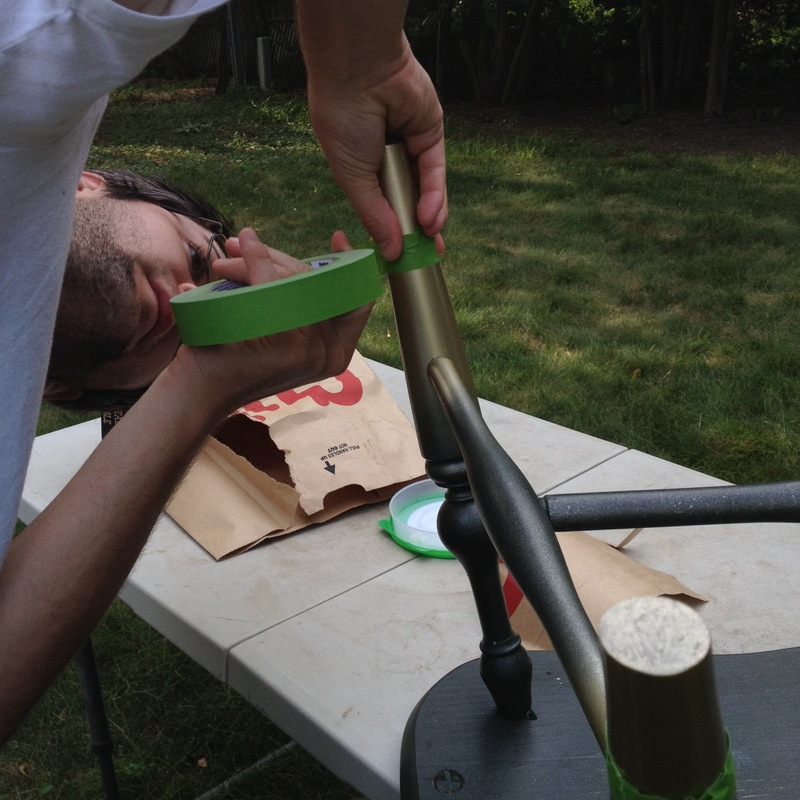 We’re dabbling in spray paint while we can get outside in this beautiful, almost fall weather. Greg is really excited. Obviously. 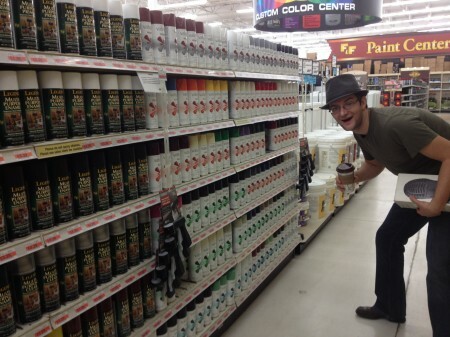 I can’t stop picking up armloads of spray paint with all their awesome colors. 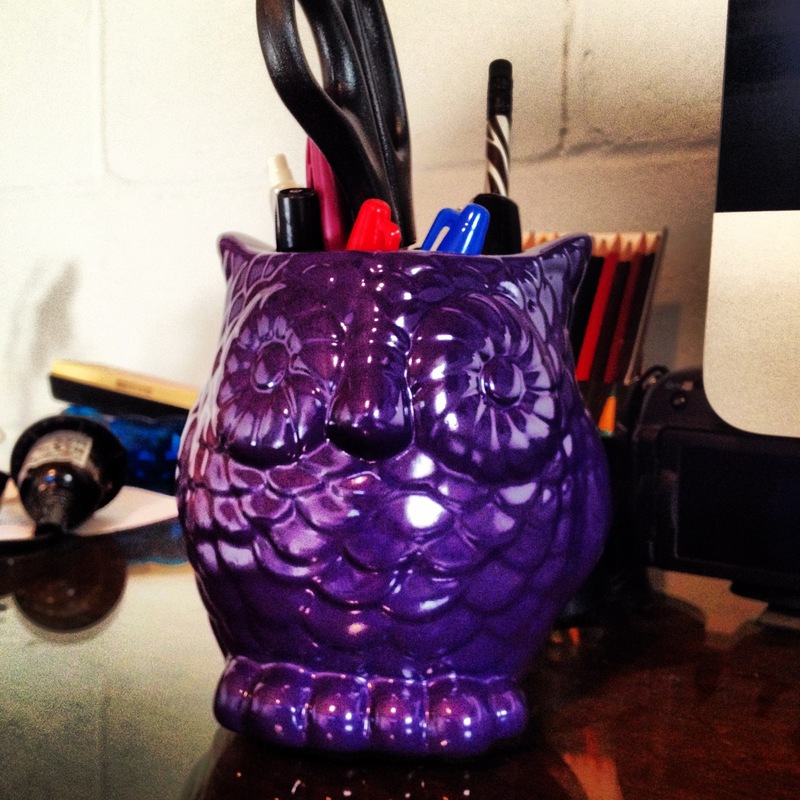 I got this owl at Target for $2.50ish-he was black but now a deep purple. 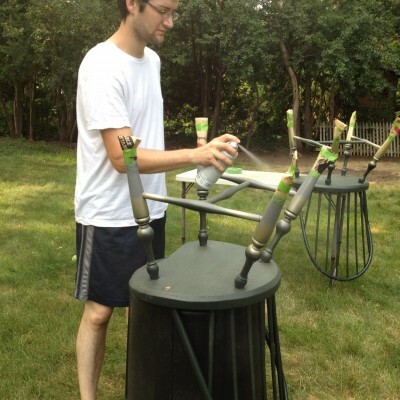 Now I hoard hardware, furniture and spray paint. Great. This entry was posted in Before and After, Chairs, Spray Paint and tagged antique, colorblock, dipped leg, dipped leg chair, Frog Tape, furniture, spray paint, vintage, Windsor chair. Bookmark the permalink.